Before I begin, I want to be very clear that I’m offering a drash by another rabbi, Rabbi Danya Ruttenberg, aka @TheRaDR. You can learn about her and her work at her website. I would love to hear your reactions to her take on #Yitro. Did “Moses simultaneously [cut] women out of Revelation and [turn] them into sexual objects” with his addition to the command of God? How might Judaism be different had he not made this insertion? Click the link. Yes, it’s Twitter, but don’t let that stop you! 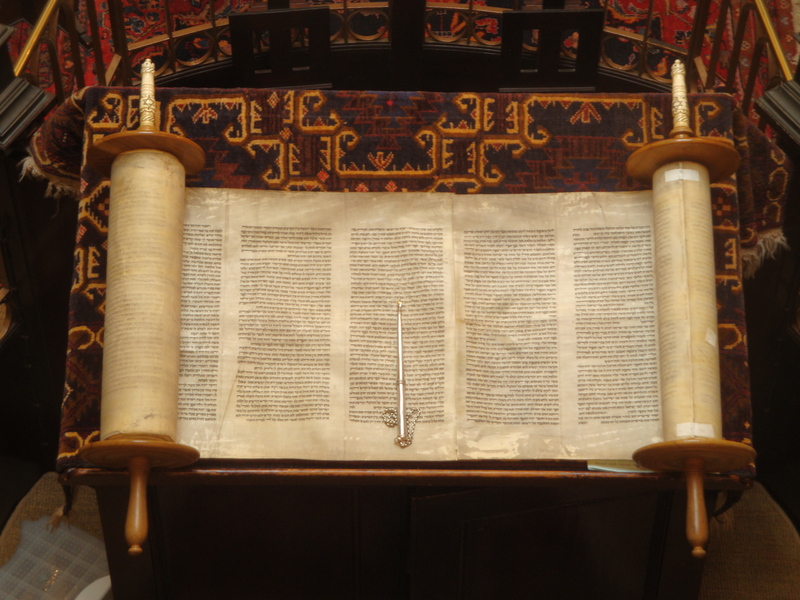 This week’s Torah portion is Yitro (Exodus 18:1 – 20:23.) It recounts how Moses’ father-in-law, Yitro (Jethro) advises him to organize his administrative work. Then the text gives us the dramatic story of the giving of the Tablets of the Law, the 10 Commandments. No doubt about it: a piece of the story is missing. Moses and Zipporah had some kind of separation. She went home to her father’s house, and he went to lead the Hebrews out of Egypt. Was he simply off on a “business trip” while the family remained safely in Midian? Or was there an estrangement between Moses and Zipporah? The text doesn’t say. All it tells us is that Yitro brought Zipporah and the boys to Moses, after he heard how Israel had made a successful exodus from Egypt. Yitro is a wise man and a capable leader, and he is also a role model for in-laws everywhere. Whatever had caused the separation, he supported the couple in their reunion. He brought them safely back together. Obviously there are limitations. Domestic abuse is a serious matter, for instance. But even in such a case, the job of a parent – an in-law – is to support their adult child in working towards a resolution, whatever that may be. In a marriage, as in any other human relationship, working things out requires the couple to interact directly. Talking to third parties is rarely helpful unless it leads to talking to one another. Those of us who want to be good parents and good in-laws or even good friends to a married couple can take a lesson from Yitro.